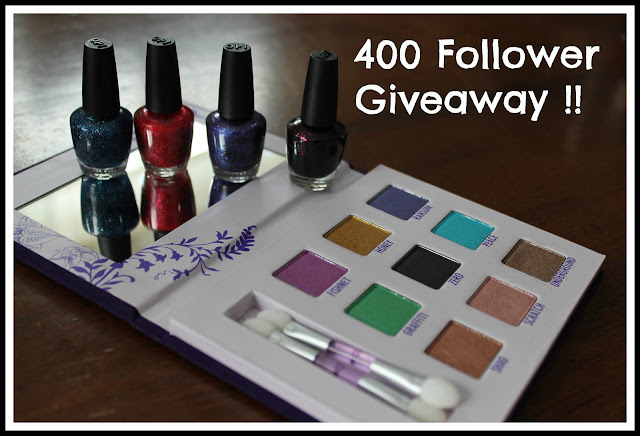 Meet Me on the Bright Side: 400 Follower Giveaway! Mariah Carey's Liquid Sand Mini collection! Fab Feature Ad spot. Great for blogs, websites, Etsy shops, etc. for one lucky winner! All you have to do is enter below through the Rafflecopter widget and follow any entry requirements before entry. The winning entry will be checked to make sure all requirements were met. Must be at least 18 or have parental consent to enter. Must follow all entry requirements. 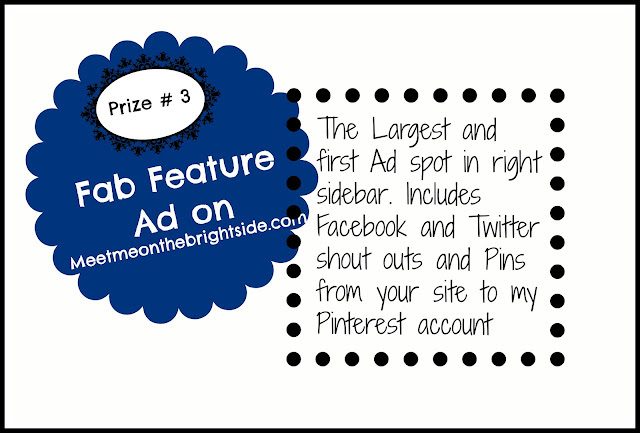 Contest ends Feb 28, 2013. Winner will be chosen through random.org on or around contest end date. Winner has 48 hrs to claim prize before a new winner is chosen. RELEASE By receipt of any prize, winner agrees to release and hold (Kristin of Meet Me on the Brightside), Sponsor, and their respective subsidiaries, affiliates, suppliers, distributors, advertising/promotion agencies and each of their respective parent companies and each such company’s officers, directors, employees and agents (collectively, the “Released Parties”) from and against any claim or cause of action, including, but not limited to, personal injury, death, or damage to or loss of property, arising out of participation in the Promotion or receipt or use or misuse of any prize. great giveaway! The deluxe palette is one of my very favorite palettes from UD. Ive never done an at-home one but I paid about $15-20CAD per spray tan sesh at a tanning salon before. Hope that helps! My favorite summer beauty ritual us exfoliating everyday and washing my face a lot on humid days. I'm not sure about the cost of a spray tan because I don't get them done. Great giveaway! Spring summer ritual is just light and bright makeup usually using bb cream instead of foundation. I'm not sure about the spray tan though since I've never tried one. My spring/summer ritual is wearing a nice sweet, floral perfume! And I'm not sure about the spray tan price because I've never had one, but I would say around $50 at the most! 400 followers is a great accomplishment! Thank you for offering this great giveaway! Mine would have to be my favorite face scrub: DIY Lemon Facial Scrub, I got it from Kandee Johnson on YouTube. The lemons and sugar exfoliate and get rid of so many dead skin cells. I love it!!! I'm a big self tanner but I've never had it done in my home, only salons. (I would love too)!! My routine is using the pumice more in preparation for sandal weathers and exfoliating more for shorts weather. I have a dark complexion myself and try to avoid summer color and have never done any kind of tanning, but I guess that about $35-$40 would be appropriate for in home spray tanning. My summer rituals are using a pumice for the feet (calluses) and lots of moisturizer for the legs! And then finding the perfect pedicure colors! As for at home spray tans are you talking about an air brush machine? Because I think those are about $250. I think a nice bottle of self tanner should be about $30. My beauty ritual for summers (throughout the year since Malaysia has summers all year, same weather) for me is applying a moisturizer on my every night after I wash my face. Washing my face includes a mild face wash every night but a scrubbing action face wash twice a week. I have super oily skin and this keep my skin soft and free of dirt, blackheads and oil. I cannot give any suggestions about spray tan because I personally never tried or bought one and have no intentions to get one either. i do cleansing almost two times a day and it keeps my skin neat and clean! i dont know any tanning system because i am naturally too tan already! 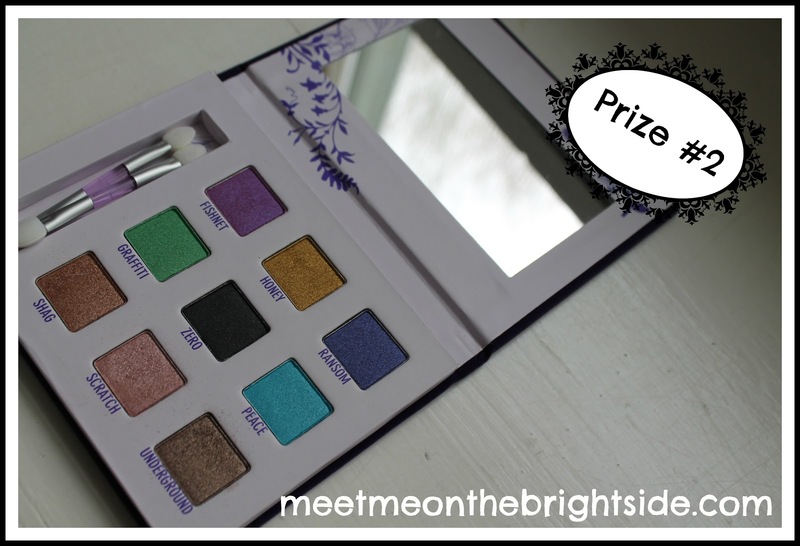 Thanks for holding such a fabulous giveaway and congratulations! Now those are great questions! My fav ritual is going for depilation regularly. As for the price, as tanning is not my priority, i would give for the system only as much as two pairs of shoes from my fav designer cost. My fave summer ritual is cleansing and hydrating every time. I don't know much about tanning, because I prefer fair skin. I've never tried a spray tan! In summer I use to hydrate my-self really often! we have a tanning bed at my house, but i'd like to start using an airbrush tan, I just want to make sure it looks good! I love to use body scrub before a spray tan. I'd be willing to pay $40-50 for a good in home spray tan. I know a lady who does it and will give it to me for $35 if I bring a friend with me. p.s. I'm Kellybee in the widget! For a spray tan at home, I would say I'd pay anything from £20-30 (I think that that's about $30-50). I'd expect to pay a little more than I would in a salon because it's a lot more convenient and comfortable to do it at home, of course. However, it's not so much more convenient that I'd be willing to pay 6x more or anything! My fave spring/summer beauty ritual is wearing sheet masks as they're so refreshing and cooling! My fave spring/summer beauty ritual is scrubbing.. I don't have any spring/summer beauty ritual because I live in the Caribbean so it's pretty much sunny all year round! I'm not sure how much I would spend on self tanning because I've never had it done and I'm already olive tone! I dont need to tan,i was born tanned lol :P.In summers i wash my face three times a day and sunscreen is a must! I never fake tan! I like moisturising and beauty masks! My beauty ritual includes lots of exfoliating and moisturizing. I've never done spray tanning before so I have no idea what the cost would be. I have never done a spray tan so I have no idea how much it would be for reasonable to have one. Beauty ritual would be put on sunscreen daily, even if it's overcast. Do facial masks every other day and exfoliate. Drink lots of water to keep hydrated. My fave spring/summer beauty ritual is scrubbing, exfoliating .. I've never done a spray tan so I don't know what a reasonable price is.. If you have people come to your house then it would be much expensive !! I apply tretinoin every night and moisturizer in the morning, also.. SUNBLOCK! :) I haven't tried any spray tan since I'm already light-medium skin (Chinese) so I have no idea dear, sorry. My fave summer ritual is wearing light coral or pink lipsticks every day! Also putting on sunblock like a crazo. I have no idea how much a spray tan would cost because I've never done it! I am not able to recommend any tan lotion because I've never used any. 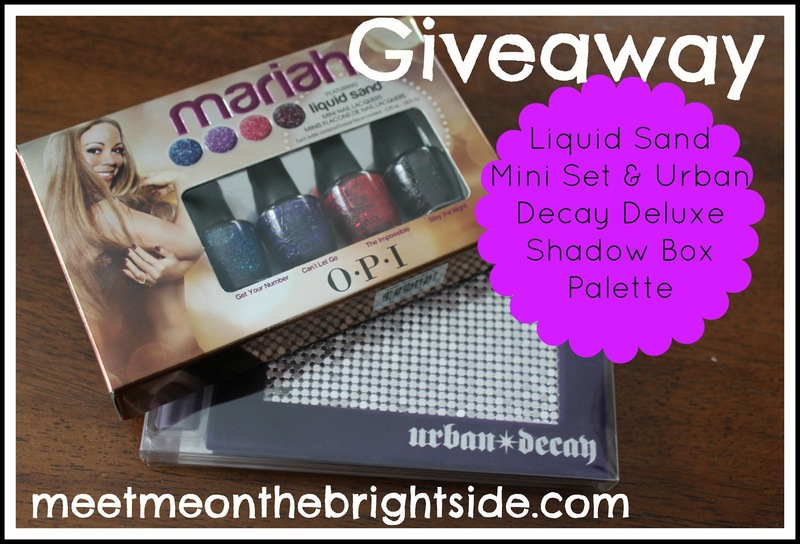 Fantastic giveaway thank you for letting me enter to win these goodies! In the summer I tend to use less make up as I often get spots in the summer & have found blocking my pores with too much make up doesn't help so I use a bb cream instead & a small amount of blusher. Every time I've had a spray tan it's turned out dreadful! The most I've paid is £25. I don't have beauty ritual at all. I just apply Ponds Whitening Cream before going to sleep. My spring/summer beauty ritual would simply be applying a moisturizer with SPF before going outside. I've never done the spray tan thing, but would probably pay up to $50 for a special occasion. Nice soft feet are important for summer, a pedegg is great for that, and a pale shiny nail colour. I never bother with a tan, real or spray, so I really can't comment. I just make do with a few freckles. My only beauty ritual for spring/summer would probably just be sun screen and moisturizer. I've never had a spray tan before so I wouldn't even know what it would cost. My summer beauty ritual is just lots of moisturizer. probably between $50-$100 for the spray tan. My favorite Spring beauty ritual is buying a lot of moisturizer because and I live in tropical country. my reasonable price to buy summer spray tan is around IDR 200.000 or US 20. Thanks! And reasonable price to pay for spary tan for me would be from 10-30$. I prefer pale skin too - but moisturising is a must in spring/ summer. I don't really like tanning, I don't think it suits me, so I have no idea about prices and stuff. My summer ritual is avoiding sun at all cost lol I get burnt really fast and hurts like hell. I am naturally tanned (I'm south east asian), so I'm really sorry, can't help you with your tanning question. but for summer I'd invest a lot on SPF and sunscreen. health comes first! My friend lost half her inner thigh skin to replace her face's skin due to skin cancer. anyway, I'm following chrisbrightide at instagram are you sure it's yours? sorry, because it showed no photos or profile. Summer ritual is to drink loads of water, wash my face every couple of hours and sunscreen. My summer ritual is to protect myself from the sun as my skin burns very easily in the sun! My favorite summer ritual is sprays... a lot of sprays!! !